What fantastic weather we have enjoyed over the last few months. 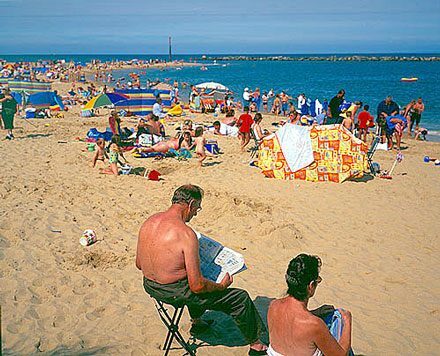 The holidaymakers and day trippers took full advantage of North Norfolk’s beautiful beaches and picnic spots, and the towns were busy with shoppers. I can’t recall seeing the camping and caravan sites so full before, and the traders have had an exceptionally hectic but lucrative time. The visitors were well catered for entertainment-wise with Cromer and Sheringham carnivals being a great success, and the traditional Cromer Pier Show has entertained hundreds of people during its summer run. With the increasing popularity of the North Norfolk area as a holiday destination, we have seen an inevitable increase in traffic volumes and the coast road has been extremely busy. Getting around has sometimes been frustrating, and parking has been a problem at peak times in the most popular locations. In particular, Wells-next-the-Sea experienced enormous visitor numbers, and the car parks were often full. That is the inevitable price of success and is something that the people lucky enough to live in North Norfolk are going to have to accept throughout the tourist seasons to come. Having made access to the county faster for drivers from London and the home counties the dualling of the A11 has contributed to an increase in visitor numbers to Norfolk. It has undoubtedly increased the appeal of North Norfolk as a UK holiday destination. Also, the Northern Distributor Road (NDR), now renamed the Broadland Northway, provides a convenient way for drivers to access the A11 without having to tackle city centre traffic or using the city’s busy ring road. So the 2018 summer season can be counted a great success with visitors to Norfolk enjoying some Mediterranean weather without having to leave the country. Let’s hope for a repeat in 2019.